If you follow me on IG ( thethirtytoes ) you saw the handful of photos I posted of this recipe in the process..but what you did NOT see there is the final product, because I wanted you to come here! By coming here you not only see the finished, DELICIOUS, meal you also get the recipe. A must have for summer time grilling! Mix everything except for your shrimp and chicken, in either a large bowl or a large ziplock bag until completely combined. Toss the chicken and shrimp until well coated and set in the refrigerator to marinate for 30 minutes to 1 hour. Follow the notes portion for cooking directions. 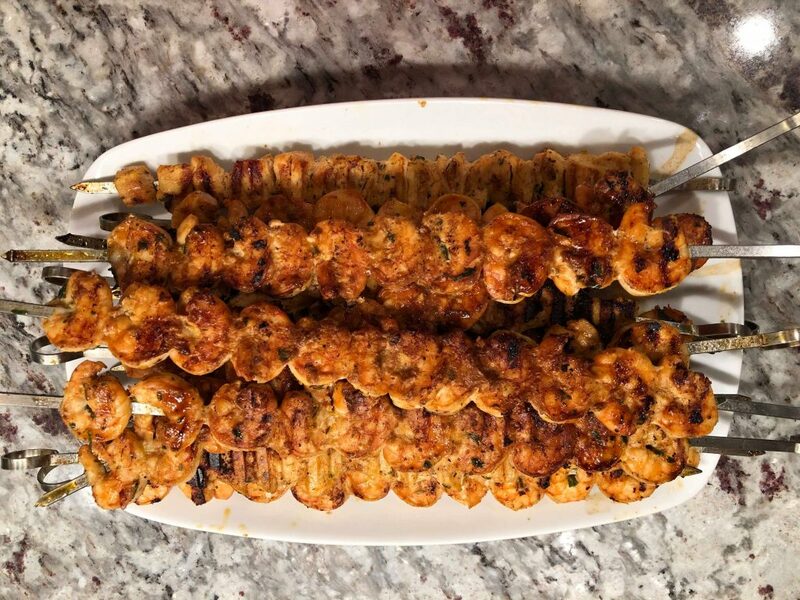 For summer time grilling, skewer your chicken and shrimp and cook til done. For baking in the oven, I prefer to separate the shrimp from the chicken since the shrimp cooks faster and nobody wants over cooked rubbery shrimp! 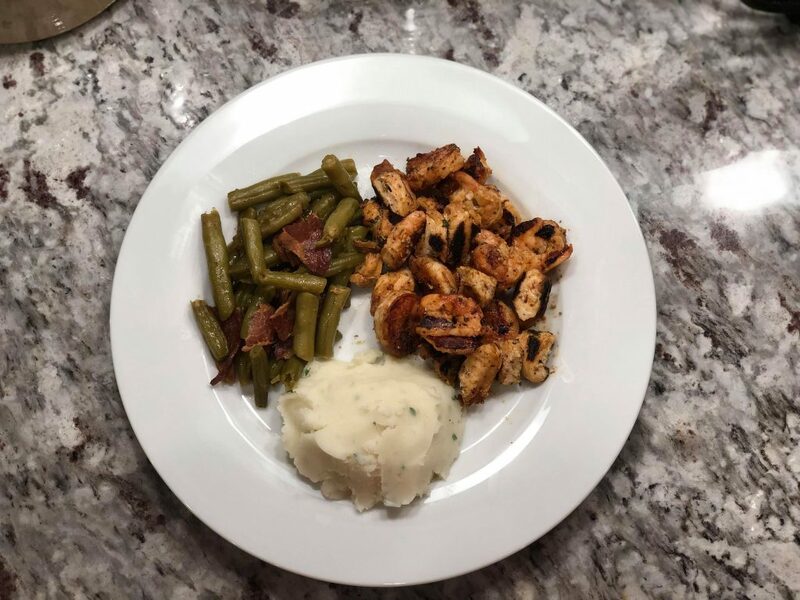 Preheat oven to 375 degrees, dump your chicken on a sheet pan and bake for 25-30 minutes, or until the chicken is done. Remove the chicken to a separate bowl and set aside in your microwave to keep warm. Now cook the shrimp until they're done, approximately 5-8 minutes. Sometimes I'll just let it all cook together if I cut the chicken smaller and then I serve it with fresh linguine. I drizzle the juice from the pan over the pasta too. It's amazing! If you're craving this and it's winter time and there's no way you or your husband is about to go outside in the cold to grill this..bust out your panini press and grill them that way! Easy peasy! Skewer them up just like you would if they were going on the grill and you are GOOD.TO.GO!